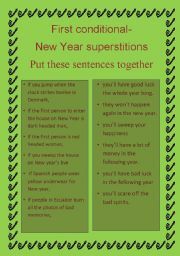 I did this worksheet to practice the first conditional during the holidays. 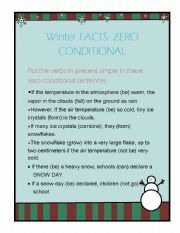 In this worksheet students put the verbs in the correct tense, while learning some facts about snow formation. A power point for practicing a/an, some. Help the witch with her magic potion. For the poem, I used the idea from http://www.dltk-holidays.com/halloween/poems/mknocking.htm and adapted it. Students will put the verbs in present continuous and then describe some costumes. 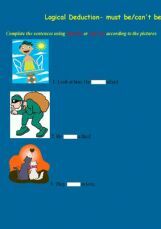 It�s a short fill in exercise in which students should fill in the correct answer according to the given illustrations. 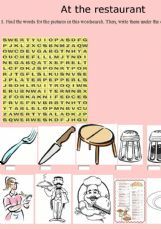 It�s a wordsearch with words from the theme "restaurant"